It’s time again to visit that loveable band of misfits in a story that turns a well-known fairytale concept upside down. 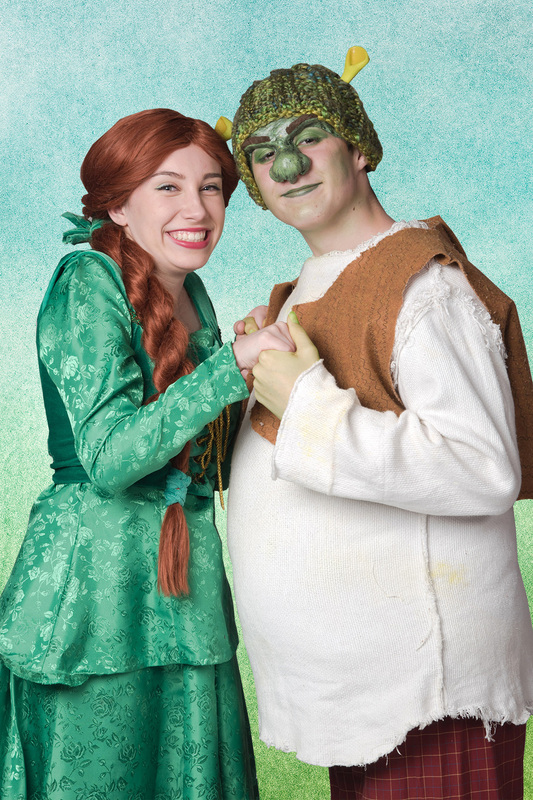 Peninsula Youth Theatre (PYT) is mounting a colorful production of Shrek the Musical based on the 2001 DreamWorks animated film Shrek and the 1990 book Shrek!. The stage version has music by Jeanine Tesori and book and lyrics by David Lindsay-Abaire, and the show has all the charm of the animated film. The story follows Shrek, an ogre enjoying his solitude in his swamp after surviving a rather abrupt and startling childhood. One day, his solitude is disturbed by the aforementioned band of misfits who have been banished from their homes in Duloc by an evil, rather short-tempered ruler, Lord Farquaad. The misfits convince Shrek to intercede on their behalf to get their homes back, though Shrek’s motives are a bit closer to the vest – he wants his solitude and his swamp back. Of course the tale isn’t as simple as that. There are twists, turns, friendships forged, alliances shifted, and eventually it becomes a very convoluted quest-turned-boy-meets-girl-etc. tale. Suffice it to say that the story winds up with a satisfying resolution, albeit a bit off-kilter. Shrek is a favorite among community theaters, and especially youth theaters, because of its large ensemble and colorful characters such as Shrek (an unrefined ogre and reluctant hero of our story); Fiona (the princess with a secret that Shrek is sent to find and return); Donkey (a wise-cracking sidekick that Shrek grudgingly accepts as a friend after rescuing him from a fierce dragon); Lord Farquaad (the villain of the story); and a host of others. The artistic staff includes Director: Loryn Hatten; Choreographer: Meg Fischer-Venuti; Vocal Director: Holly Smolik; and Orchestra Director: Ande Jacobson. PYT has put together two very enthusiastic casts to bring a new vision of the show to life. To enhance the audience’s experience, Andrea Bechert’s sets, Mike Oesch’s lighting design, Patrick Paul’s sound design, and Susie Lew’s costumes all combine to titillate the imagination. During performances, the cast and crew will be in good hands with Stage Manager, Shiboune Thill. The music in this show is largely a groove, pop-rock montage interspersed with some lovely ballads and punctuated with several familiar classical callouts. The score energizes the casts and the orchestra, and is sure to help audiences root for the good guys. There will be no A Good Reed Review review of this one as I will be in the pit leading the very talented community orchestra. The musicians include: Woodwinds: Doreen Oroshnik, Asa Stern, Steven Holmes; Strings: Jaime Yuen, Griff Derryberry, Davey Silon, Rob Gloster, Michael Firefly Perry, David Mitchell; Brass: Ricky Hall, Rebecca Rambow Bishop, Jim Deloach, Joe Kelly, Jason Loveman; Keyboards: Del Quan, Greg Goebel; and Drums/Percussion: Jeff Baker, Bob Wylie. Not all musicians will be playing every performance. 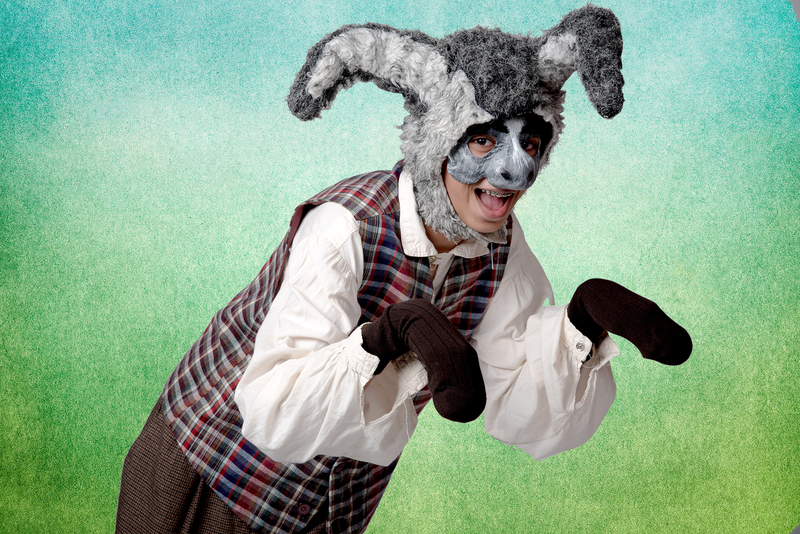 This is an imaginative, “feel good,” family show with a great message. The anthem, “Let Your Freak Flag Fly,” late in Act 2 kind of says it all, in a very good way. Get your tickets now before they are all gone. 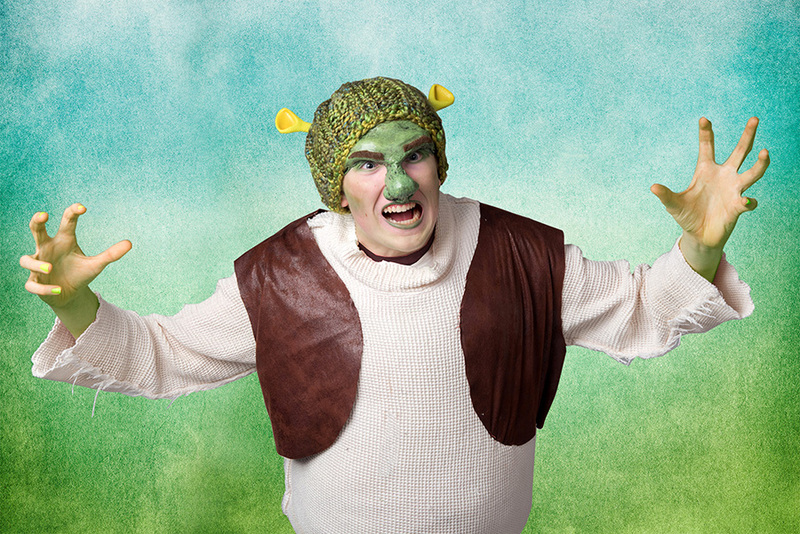 When: 9-17 March 2019, see: Shrek the Musical at PYT for more information. Photos courtesy of Lyn Healy and PYT.